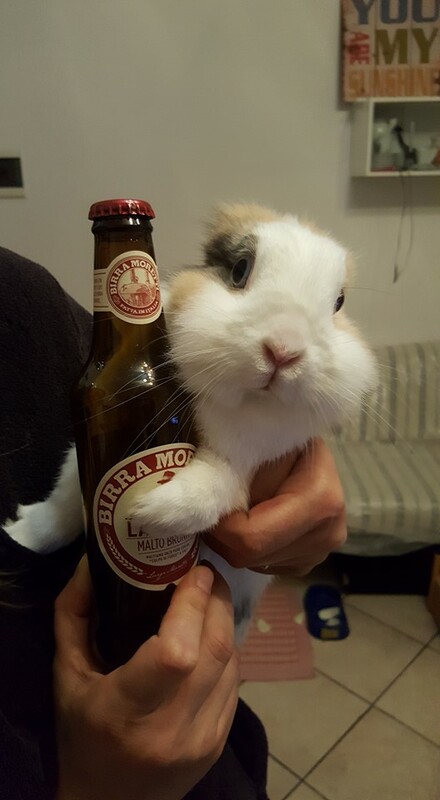 Keep your hands off my beer, hoomin!! I think there is a 2017 Super Bowl ad in here! RG, I can just see the set . . . Hey, you, it's just a bunny. Go take that beer. And bunny cheerleaders binkying on the sidelines.